In near-term, loans growth not expected to be affected by trade war and property cooling measures. High single-digit loans growth target for FY18 remains reasonable. Rising interest rate unlikely to have a significant impact on credit quality but cost of funds is expected to increase in tandem. Operating costs is expected to stay elevated with investments in technology for business expansion. We raise our dividend forecast to S$1.19 per share in favour of a 50% pay-out ratio. Maintain BUY with target price of S$33.70 (previous Target Price S$34.50) based on Gordon Growth Model. The decrease in target price was due to our lower ROE assumption to 11.6% (previously 11.8%) and lower BV assumption to S$21.30 (previously S$21.6/share). Between 10-15% of UOB’s loans book is trade related, with the bulk anchored out of South-East Asia. Hence we do not expect the trade war to pose significant risks to trade loans growth unless it escalates into an overall global slowdown. UOB has the largest proportion of property-related loans (50% of total loans) as compared to DBS (42%) and OCBC (42%). Mortgage-related loans at 27% of total loans, and building and construction at a further 23% of total loans. Due to drawdowns of previously approved loans, weakness in the property-related loan market may only be felt next year. Lending to the property developer market is expected to hold up in the short-term. To put things into context, for UOB to miss their full-year loans growth target by 1% point, housing loans and building and construction loans would have to contract 3-4% y-o-y. Taking into account near-term uncertainties in trade and expectation of a more moderate pace in property transaction volumes, we are forecasting loans growth of 8.4% and 5.9% for FY18e and FY19e respectively. The rising interest rate environment is not expected to have a significant impact on NPL. Housing loans made up 22% of total loans with unemployment being the driving factor on defaults on housing loans, not interest rates. Housing loans were also assessed using a 3.5% rate on loan repayment, higher than the current interest rate level. Average LTV in mortgages is 60%. Some examples of credit considerations include approval of loan only upon certain percentage of units sold, disbursements according to % sales and completion, ring-fencing of proceeds from project (for servicing bank loan), track record of sales history of past projects from same developer to assess potential demand of current project, haircuts on LTV to determine loan amount etc. Around 80% of the loan book is pegged to floating rate (30% belongs to SIBOR and SOR; and 50% belongs to prime rates and board rates etc. ), and the remaining 20% is pegged to fixed rates. Certain corporations prefer to use SOR because they perceive SOR as much more transparent. Board rates are pegged to the bank’s own benchmark rate and differ from product to product and across different customers. Board rates are more popular as it is less volatile. The bank adjusts its board rates internally according to market conditions, cost of funding and the rates of its products to prevent product cannibalism. The O&G sector has stabilised, but it is unlikely to see consistent recoveries every quarter. Any recoveries for the sector would be a bonus for the bank. O&G non-performing assets were brought down to 10% of its asset value as the collateral value for recovery. Non-performing loans that have bounced back from the brink will be moved to performing loans, but collateral values cannot be marked up once it is marked down. Any gains can only be recognized in P&L when the asset is sold. UOB’s NPL ratio was 1.68% as of June-18, higher than DBS (1.56%) and OCBC (1.38%). We adjusted our NPL to be in line with management's guidance of NPL ratio of 1.7% for the full year (previously 1.3%). Historically, the long-term credit cost averages around 28bps, factoring in the peaks and troughs. Given the new accounting standards, banks are no longer allowed to use general provisions as buffers. Credit cost is currently at a low of 11bps for 1H18. Hence in the current benign environment coupled with the possibility of recoveries, management’s credit cost guidance of 20-25 bps is reasonable, and we put in our credit cost assumption at 20bps. In anticipation of steeper interest rates, UOB has been strengthening its funding position. Total deposits rose S$13.7bn q-o-q in 2Q18, of which S$10.8bn came from fixed deposits. In comparison, 1Q18 total deposits only rose S$1bn q-o-q. The aggressive sourcing of funds even resulted in lower LDR ratio in 2Q18 of 85.7% (1Q18 LDR: 86.7%). As the bulk of the deposits raised were pricier fixed deposit, it resulted in a squeeze in interest margins, albeit in the near term. As UOB continues to invest in technology to enhance digital proficiencies in its business and the Digital Bank, we expect full year CIR to remain elevated at current levels (2Q18’s CIR was 43.6%). We adjusted operating expenses upwards to bring full year CIR to 43% (previously 42%). Guidance for full-year dividend payout is at 50% payout ratio (special dividend is part of this payout ratio), subject to a minimum CET1 ratio of 13.5%. 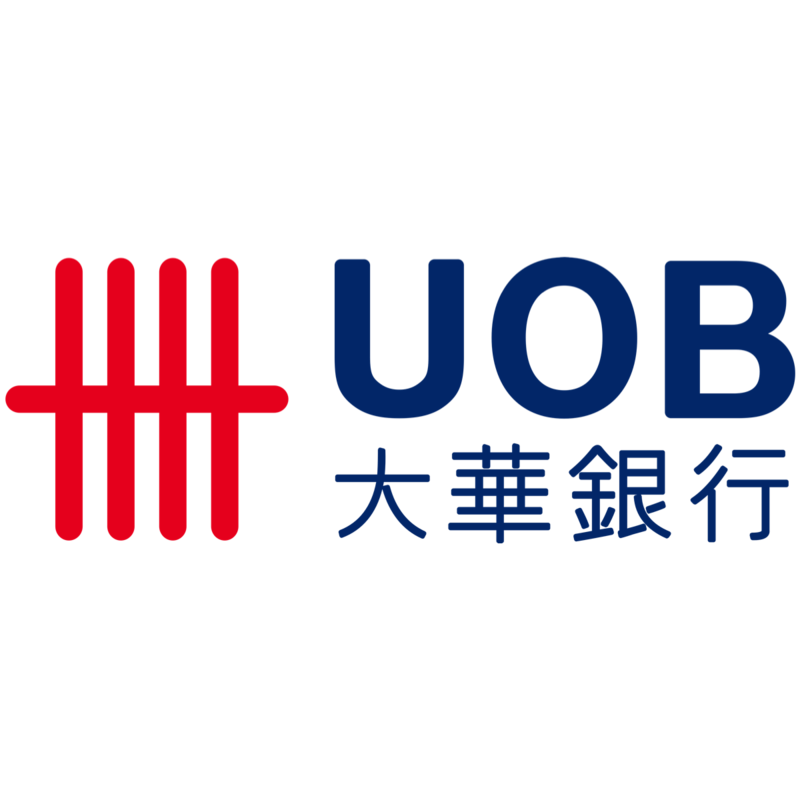 UOB‘s 2Q18 fully loaded CET1 was already higher than its peers at 14.5%, and by adhering to a 50% dividend pay-out guidance, we increase our dividend forecast to S$1.20/share (previously S$1.05/share) to give dividend yield of 4.5%. UOB’s exposure to trade war effects is relatively muted as compared to its peers. UOB has the largest percentage of Singapore loans (2Q18: 52% of total loans) as compared to DBS (47%) and OCBC (41%), and the least exposure to Greater China loans (2Q18: 15% of total loans) as compared to DBS (16%) and OCBC (26%). UOB enjoys its net trading income from transaction spreads. Volatility has an influence on customer flows, as the need to hedge turns more acute. Between 60-70% of trading income comes from customer flows and the remaining 30-40% proprietary trading mainly belongs to derivatives to hedge structural positions. Every quarter's marked to market changes in trading assets will flow to net trading income. Maintain BUY with target price of S$33.70 (previous Target Price S$34.50) based on the Gordon Growth Model. The decrease in target price was due to our lower ROE assumption (previously 11.8%) and lower BVPS assumption (previously S$21.6).